Who is going to grab The Avengers by the stones? Daddy Thanos that’s who! New trailer drops and of course we discuss our theories and thoughts. Plus we argue about Iron Man films because why not? 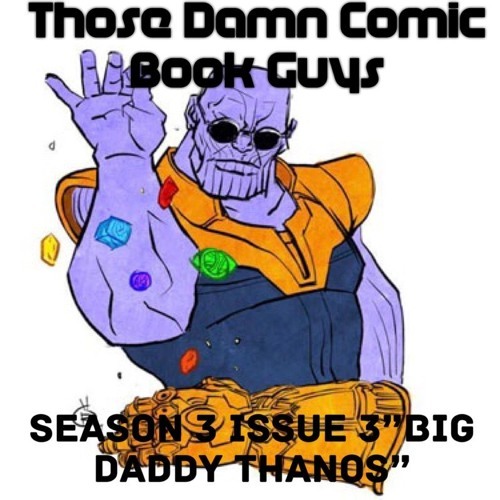 Users who like Season 3 Issue 3 "Big Daddy Thanos"
Users who reposted Season 3 Issue 3 "Big Daddy Thanos"
Playlists containing Season 3 Issue 3 "Big Daddy Thanos"
More tracks like Season 3 Issue 3 "Big Daddy Thanos"